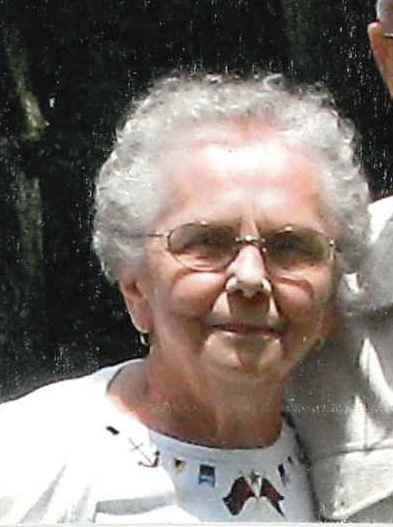 Constance Corbran Albaugh, 87, of Russell, PA., died peacefully surrounded by her family, on Thursday morning, April 4, 2019 at her residence. Connie was born July 12, 1931 in Sheffield, PA and was the daughter of the late Anthony and Victoria Kujawa Corbran. She was a Russell area resident since 1973 and formerly of Warren, PA. Connie was a 1949 graduate of Warren High School and was employed as a telephone operator with the former Bell Telephone Company for 25 years. She was a member of St. Joseph R.C. Church, and Bell Telephone Pioneers. Connie loved to spend time with her children, grandchildren and great grandchildren. She was an avid cook, baker and enjoyed going to the casino. She is survived by her 2 children – Daniel K. Albaugh and wife, F. Darlene and Cheryl Reagle and husband, Larry all of Russell, PA., 3 Grandchildren – Jeffrey Young and wife, Tara of Bradenton, Florida, Amanda Albaugh Sobocinski and husband, Dane of Russell, PA., Daniel M. Albaugh and wife, Brianne of East Earl, PA., 4 Great Grandchildren – Shayleigh Albaugh, Talon Kinney, Preston Keith Young, Loretta Noelle Young, several nieces, nephews and cousins. In addition to her parents, she was preceded in death by her husband of 60 years, Virgil K. Albaugh whom she married June 9, 1951 at Holy Redeemer R.C. Church, Warren, PA. who died Tuesday, February 14, 2012, 3 Brothers – Joseph, Jerome and John Corbran, 1 Sister – Patricia Corbran. Our sincere condolences on the loss of your mom Ernie. She was a sweet caring lady. Condolences on the loss of your mother. A beautiful, wonderful lady. Thinking of you Cheryl and your family.